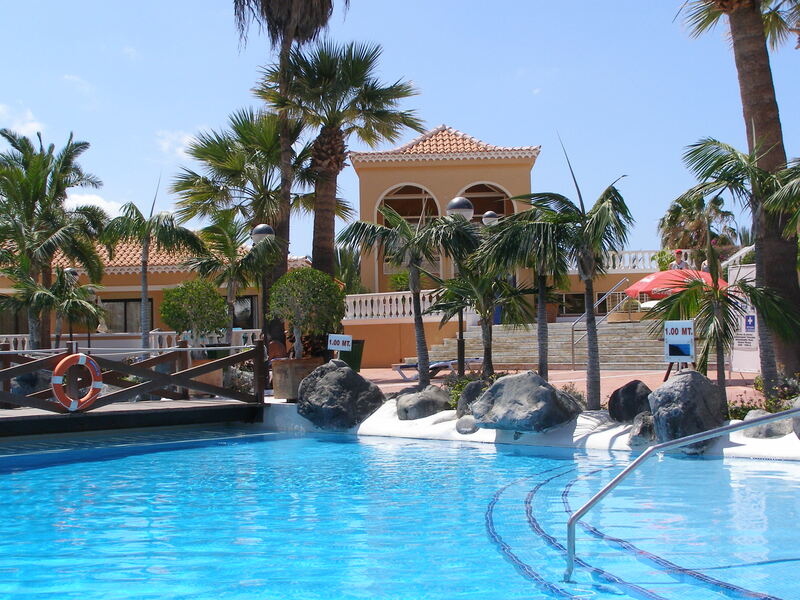 Self Catering Holiday Apartment's and Villa's in the South of Tenerife. Studio Apartment's, 1, 2 & 3 Bedroom Apartment's and 1, 2, 3, 4 & 5 Bedroom Villa's. My name is Paul Dean and Welcome to our Spanish Isles Holidays Web-Site. We have improved the Web-Site to make it easier and clearer to find your Apartment or Villa for your Self Catering Holiday in Tenerife. We are one of a few Self Catering Web-Sites that shows you the Actual Photos of the inside and the Actual views of many of our Apartment or Villa. So you will know what you are booking. Please Scroll down this page for further information about Spanish Isles Holidays. Please place your Mouse pointer on the type of Accommodation above ^ and options will drop down, then select. Below is Apartment / Villa, Search Bar. Please Input Dates etc and a list of everything that is available for you for your Selected Dates. 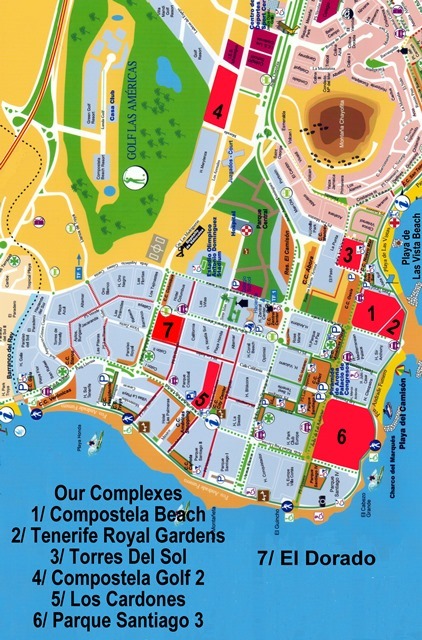 Nearly all our Self Catering Apartment's and Villa's are on the Sea Front by the Playa Las Vistas Beach in Playa de Las Americas & Los Cristianos, Tenerife but we now some some places outside this area too. 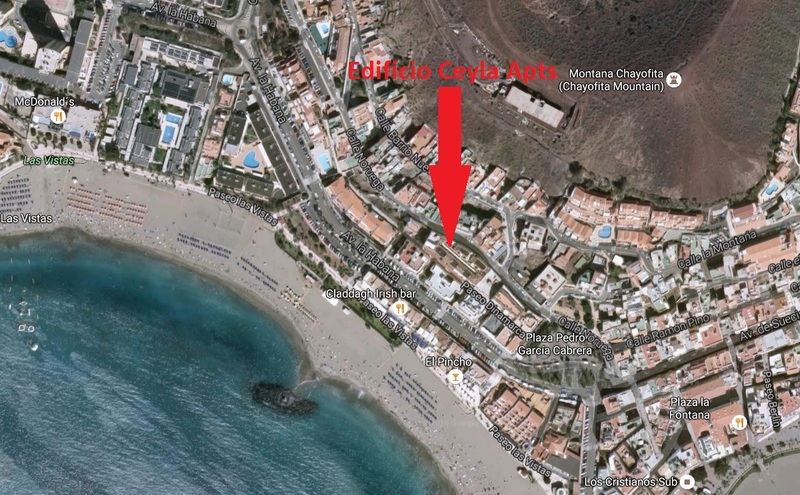 We Specialize in the following Complexes, Compostela Beach, Los Cardones, Torres Del Sol. 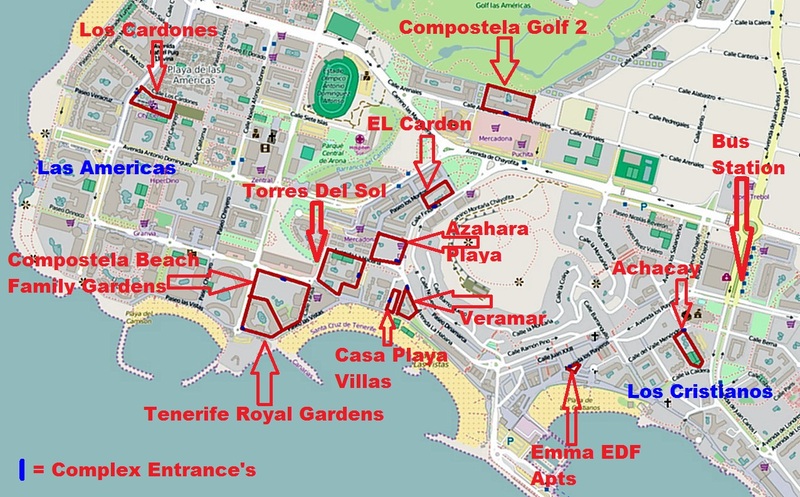 Tenerife Royal Gardens , Compostela Beach Golf II , Azahara Playa, Veramar Complex, Casas de Playa and the Emma Building Apartments , Edificio Ceyla Apts, in Tenerife. We have many self catering apartments for you, hopefully making your choice that little bit easier. Many apartments have great self catering facilities with plenty of pots, pans and cooking utensils. Although you don't have to make things complicated by cooking up a full Sunday roast. Keep it simple and take advantage of local ingredients such as meat, cheese and fresh bread from the many supermarket in the area and You'll save a packet. The biggest advantages to Self Catering is having the time and freedom to roam the local Cafes, Bars and Restaurants, when and where you wish. Whether for a week to 3 Months, We have Apartments and Villa's for your Self Catering holidays, all year round. We specialise in self catering apartments and villas. Whether for Couples, Families, Golfing Groups or Businesses, We are sure we have what you are looking for. Self catering holidays abroad come packed with the feeling of freedom there are no set meal times or set dishes just the food you want, when and where you want it. Catering for everyone can be stressful especially when most children have different tastes and requirements, but self catering holidays are perfect for large groups and families it basically gives you total control over all your meals catering for the fussiest of eaters making sure all taste-buds are satisfied. 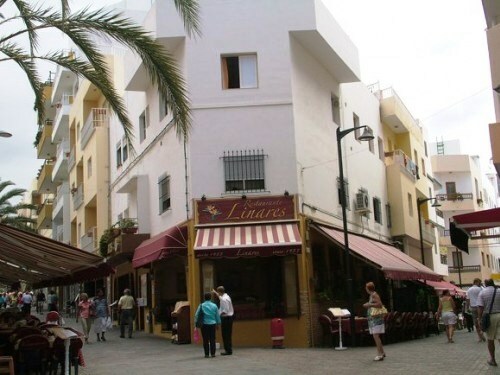 We have been Renting Self Catering Properties in Tenerife since 1988. We've had thousands of guests staying in our properties. We only concentrate mainly on Playa de Las Americas and Los Cristianos areas in the South of Tenerife. We offer Great Holiday complexes, specialising in Self Catering Apartments and Villa's. We hope you can find what you're looking for on these pages, and if you need help or any further information or details, then please drop us a line. Remember we are always here ready to help you choose your Self Catering Holiday Apartment or Villa in Tenerife. Spanish Isles Holidays is a Family Business that is BIG enough to care for you properly & small enough to give you the personal service. We reserve the right to not to accept a Booking if the Booking leaves a 4, 5 or 6 day gap before or after a already Booked Client. We have other Web-Sites that deal solely with differant Complexes but the main web-site www.spanishisles.com has all the upto date information. ''CLICK HERE'' to see a Map with all our Place Marked. These other sites are just a guide. (This Site is mostly upto Date.) Please use your BACK BUTTON to come back to these Site.